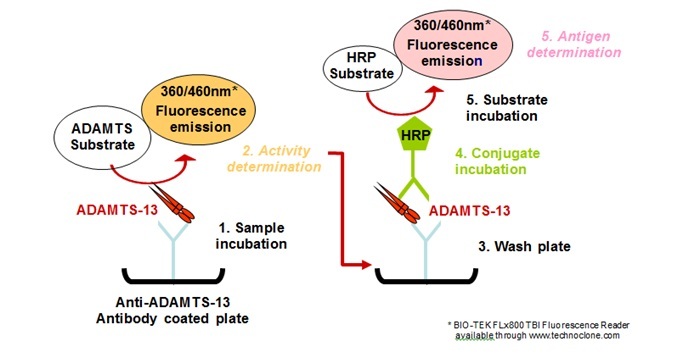 TECHNOZYM® ADAMTS-13 Activity/Antigen fluorogenic ELISA Kit is a fluorogenic ELISA for the determination of ADAMTS-13 activity and antigen in plasma. ADAMTS-13 is the enzyme that cleaves vWF under sheer stress condition. A failure of function of this enzyme leads to unusually large vWF multimers and increased platelet aggregation.